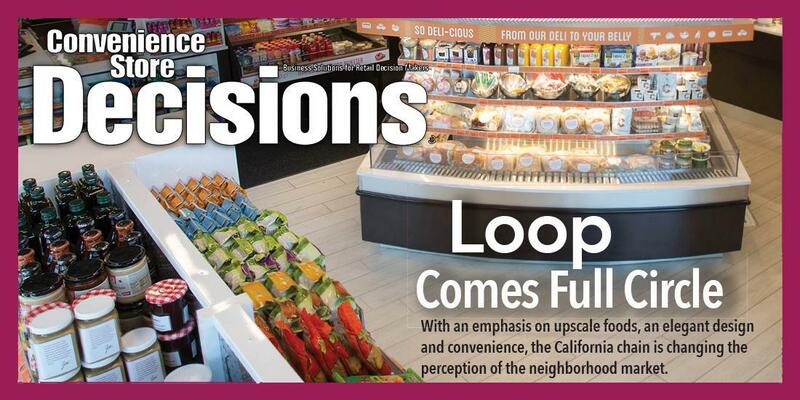 Loop Neighborhood Market was featured on California Life, a syndicated lifestyle newsmagazine show that airs on television Nationwide and international streaming, focusing on the Best of California! California Life HD airs on more than 200 TV stations, reaching upwards of 50-million households including ABC, FOX, NBC and CBS as well as being streamed worldwide on outlets like Netflix, Hulu, Amazon and more – reaching millions of households each week! With a positive twist on news, California Life highlights the people and places that make the Golden State a powerhouse of culture, landscapes, technology and personality as well as unique Travel destinations around the world! If you feel a new gas station is just what Emeryville needs, check out the shiny 24/7 Shell station with a market called Loop, which opened Friday with concessions or features attractive to the pedestrians and bicyclists on the San Francisco Bay Trail and the new path over the Bay Bridge. The path will go all the way to Treasure Island this summer. The new station erected a bike repair post and park bench as well as new landscaping with some birds of paradise. The redesigned Shell station seems to be state of the art as far as the market goes although still just a gas station, at a strategic corner of the Frontage Road and Powell Street, which runs to the marina. It’s the corner of on-ramps where protestors shut down the 880 freeway recently. The new gas station while inviting and state of the art, looks strictly convenience food with no picnic or café seating other than a few bar stools inside. Location, location, location The Shell station and Loop probably will have minimal impact on the little mall down Powell. That’s the Watergate Market and it’s reknowned deli sandwiches; and BBQs in front with the picnic tables. The police based across the street like to frequent the BBQs. Roba’s Pizza at Watergate must be the East Bay’s best kept secret next to the market's deli, each a favorite among those at the marina. Although there seems to be no pizza at Loop, the market and gas station stay open 24/7 unlike Watergate with it's conventional hours. Two other gas stations with markets operate within two blocks of the Loop, one a block away and another two blocks away, each up Powell. Only the Watergate Market and the gas station furthest up Powell sell propane, which boaters need for their marine cooking. Orange is the new black The Shell station looks amusement-park bright and cheerful, since it’s not only creamsicle white and orange but also state of the art with surprising arrays of offerings better than a country fair. It’s a lot more than gas including an upscale convenience market; a bicycle repair post on the corner; a car wash with big orange spinning mops; immaculate bathrooms with faux wood flooring and orange walls; recycling and compost bins inside and out. It’s almost a retro 1960s orange and has a cheerful, nostalgic appeal with young women and men in bright orange polo shirts working. Healthier options such as a salad bar; seaweed and kale; bacon sunflower seeds The healthier food options hold their own against some classic snack foods with unique and new treats. A salad bar lets customers make their own at $5.99 a pound. Sandwiches and wraps go up to about $6.49 for a turkey and cranberry sandwich. Chips abound and one comes from New Orleans in the form of Zapps Creole Onion. Many healthy chips sit side by side and an entire section looks as if Loop devoted itself to seaweed snacks and kale. Sunflower seeds seem to bridge the two, in flavors including bacon or jalapeno salsa. Boutique beverages, lemonades organic or hard Since you will be thirsty, the walls of refreshing beverages sparkle under the bright lights, with many natural and organic options including many boutique lemonades, one rose flavored lemonade and some hard ones and hard ciders, besides some tantalizing other adult beverages and a big locked walk-in fridge of 38 degree beer. Cold refreshments are self-serve otherwise. .One IPA from San Diego on the open shelf has a big fish on the label and is called “Ballast”. The self-serve frozen yogurt comes in four flavors with self-serve toppings. Slushy drinks come in flavors at a self-serve machine. There’s the requisite soda machine. Loop will offer some nice teas as well while Loop offers it’s own line of coffee and beans called “Rico Suave” with all kinds of flavors of coffee mate in the little one-tablespoon cups. If you want mochas and frozen coffee drinks, Loop will prepare coffee drinks as well as chai. Hot snacks to go include some frozen or cold things to microwave such as chicken vindaloo, tikki masala and tandoori as well as hamburgers. Loop serves grilled hot dogs for $1.50 at the counter, rollers, tater tots for .99 and chicken wings with condiments such as jalapenos and sauerkraut and salsa. Sunday Loop put out samples of the bakery treats from the counter such as the moist and flavorful apricot Danish and a moist and chewy gingersnap. However the classic two pack of Hostess Twinkies will run you two dollars. We know that we are not your typical convenience store. We understand that we are different, and because of that, we are determined to make a difference. 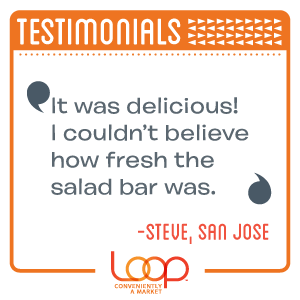 Here, at Loop Neighborhood, we are a community. As a community, it is important to us that we not only give back to our customers, but to our society. We put each customer first, making them feel unique, safe, and comfortable, and we support a community of strong, healthy, active lifestyles. As a community, we recognize that it is our duty to strongly support this mission and constantly reflect these values, not just inside our stores, but in the streets of our surrounding communities. We strive to make that difference in any way we can. If you would like Loop Neighborhood to get involved in your cause, or just simply want to reach out about any philanthropic ideas or opportunities, please contact us at info@loopneighborhood.com. No one should go hungry, especially during the holiday season. According to the SF-Marin Food Bank, 23 percent of San Francisco residents struggle with hunger. 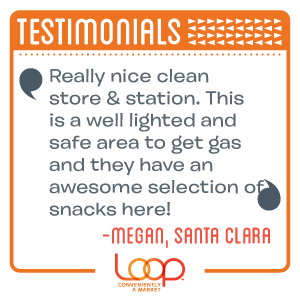 That is why as we head into November and the holidays are quickly approaching, Loop Neighborhood, the all-in-one marketplace and convenience store, is doing its part and giving back to the community. For the entire month of November, Loop Neighborhood stores in the Bay Area will be donating 1% of all in-store purchases to local food banks to help those in the community have a holiday meal. 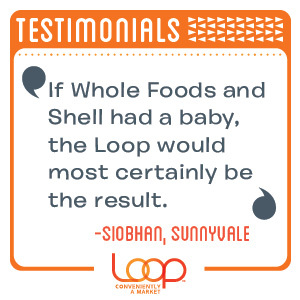 Loop’s donations will be divided between the SF-Marin Food Bank and Contra Costa Solano Food Bank. By purchasing something in a Loop Neighborhood market, you are contributing to the fight against hunger. Not only are you fighting hunger, but you are also contributing to a memorable holiday for a person or family in need. Hungry for change? 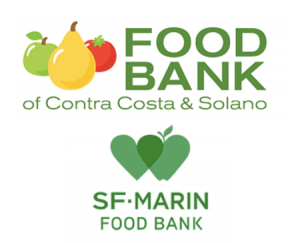 Join Loop, the SF-Marin Food Bank and the Contra Costa Solano Food Bank fight hunger this November. Now that it is officially fall, Loop Neighborhood is gearing up for the holiday season. Every fall and winter we are constantly reminded about the importance of giving thanks and giving back. Our holiday traditions remind us that this season is a time focused on giving and not receiving. While Loop Neighborhood upholds these values every day of the year, it is during the holiday season where we especially strive to do everything we can to make the community’s holidays truly magical. 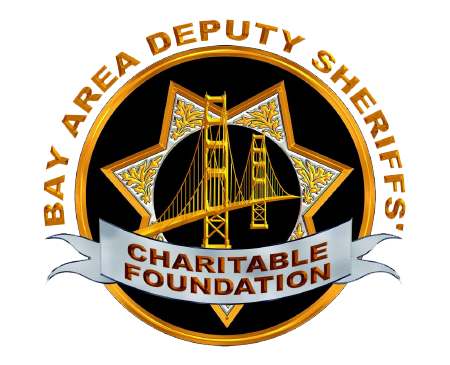 That is why this holiday season, Loop Neighborhood is working with The Bay Area Deputy Sheriffs’ Charitable Foundation (BADSCF) to assist children in making their holiday dreams come true. The Sheriffs’ and You annual Christmas and holiday shopping event unites a deputy sheriff and a disadvantaged child for a shopping spree. Approximately $250 are spent on each child, providing them with necessary clothing and toys for the holidays. Loop Neighborhood is helping sponsor this event to fulfill as many children’s holiday wishes as possible. The holidays are a time to be spent with friends and family, and here, at Loop Neighborhood, we treat everyone as a member of our family – making them truly feel safe, comfortable, and unique. It has been a devastating year for northern California. Day after day, firefighters have been on the front line risking their lives battling some of the deadliest, catastrophic fires in California history. In honor of these brave men and women who have dedicated their lives to protecting others, Loop Neighborhood has teamed up with the California Fire Foundation to recognize the annual Firefighter Appreciation Month (FFMA).Firefighter Appreciation Month is a time when businesses, celebrities and individuals acknowledge the work of our local firefighters by raising money for some of the Foundation’s key educational, financial, and emotional support initiatives. Loop Neighborhood seeks to recognize their dedication, love, and support by giving back 1% of all sales in all stores to the foundation, throughout the month of September (excludes fuel, car wash and lottery). As a member of the Northern California community, it is our goal to emulate the comfort, love, and support these firefighters have given and continue to give every day. During devastating times, anything helps. Something as simple as a “thank you,” cannot just brighten the lives of the firefighters, but brighten the lives of an entire community. That is why, this month, we challenge you, as a member of this strong, resilient community, to not just donate, but to say something as simple as “thank you,” to these firefighters when you see them. We will start. From all of us at Loop Neighborhood we say thank you to all of you who have devoted your lives to protect our community. Loop Neighborhood celebrated Pride 2018 with a month-long promotion in which the retailer donated 1% of all in-store purchases to Bay Area LGBTQ causes, totaling up to a total donation of $50,000. Being an active member in the communities they serve, Loop Neighborhood seeks to give back in any way that it can and being situated in Northern California, Loop Neighborhood strives to embrace the diveristy and uniqueness of the culture. 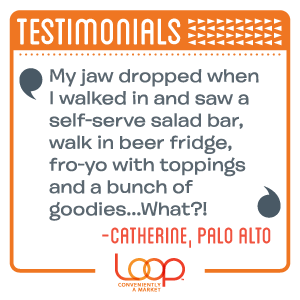 Through this promotion, Loop Neighborhood was able to show their support and draw awareness to the Bay Area LGBTQ cause. Proceeds not only support LGBTQ organizations, but other organizations working with issues related to cancer, HIV/AIDS, animal welfare, and homelessness. By showing their Pride for the month of June, Loop Neighborhood was not only able to commemorate the LGBTQ heritage, but it was able to celebrate a vast community, with a rich and diverse culture. After seeing the devastating effects of the Northern California fires of Napa and Petaluma, we knew we had to do something. 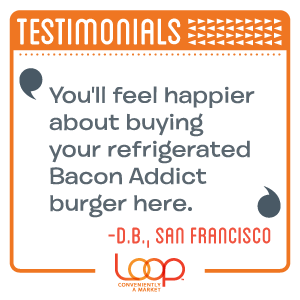 Loop Neighborhood takes pride in not only providing our customers with the most exceptional items, service, and experience, but we want everyone to be able to share in these experiences. Upon seeing the extremity of the tragedy at hand, we knew we needed to take action. 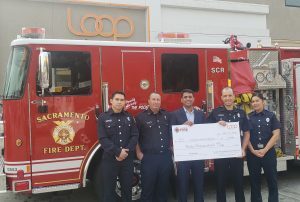 Loop Neighborhood donated $15,000 to kick off our GoFundMe efforts to serve employees who had been devasted by these fires. We knew we could not do this alone and asked the surrounding community to come together to raise an additional $15,000 to help those affected get back on their feet. We knew not everyone could provide financially, so we asked the community to donate any other resources – food, water, toilet paper, blankets, baby food – anything that could aid these tragically affected families. We are a community. As a community, it is our responsibility to come together to support those in need. We had to undergo the unbearable, and we are very proud of what we were able to accomplish, not just as a local convenience store, but as a resilient and supportive community. We are your all-in-one convenience store and marketplace. Our goal is simple—we want to redefine the convenience retail store by offering exceptional items that are good for you; excellent customer service and a fantastic experience from the time you enter Loop. We strive to provide our customers with everything from a wide variety of fresh foods to daily grocery items which meet their needs and seating areas which give them the opportunity to relax. We take pride in supporting active and healthy lifestyles by carrying organic, natural and gluten free products—We've even added salad bars, espresso and frozen yogurt to ensure our customers have a place to go during breakfast, lunch or dinner. We encourage people to hang out with WiFi and seating if you want to enjoy your lunch or simply stop in to get some work done while on the road. 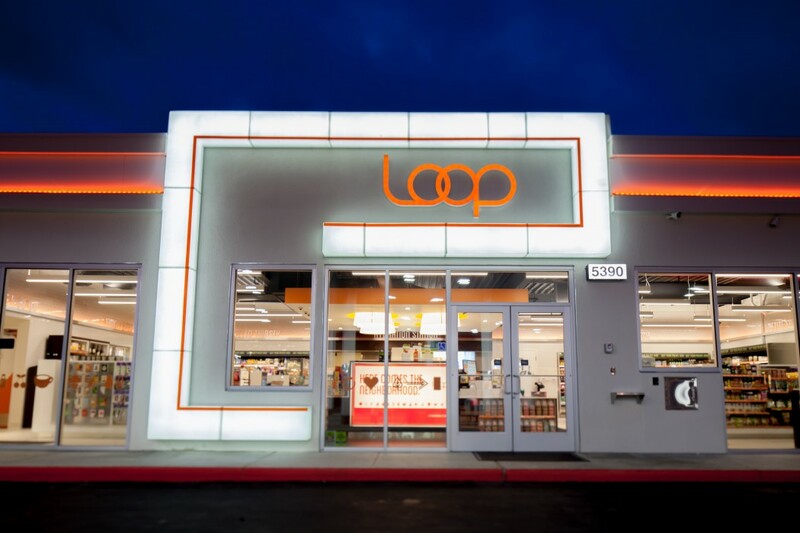 We opened our first Loop store in Santa Clara in June 2013 and we've now expanded to 20 stores throughout NorCal. 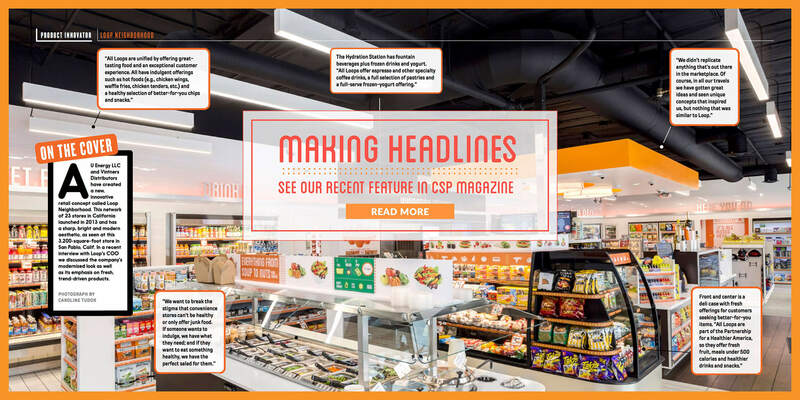 This year, we were named to CSP’s Best Store Design list in the upscale category, and were even featured on the front page! 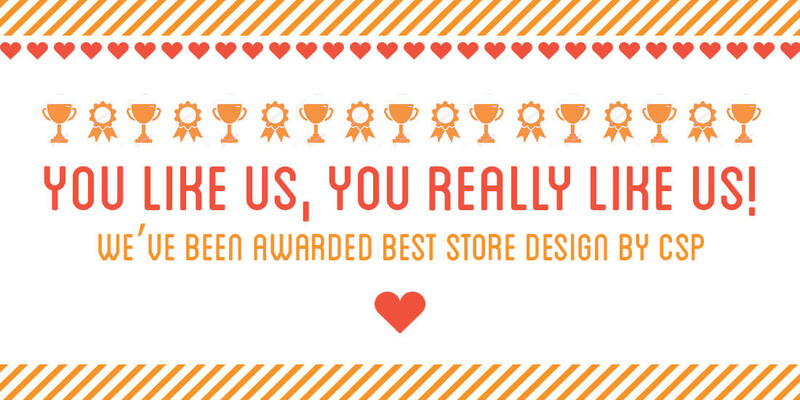 We are proud to be recognized for our thoughtfully crafted stores and to be highlighted for things like our centrally placed counter, great lighting, and welcoming atmosphere. Stop by and check it out at a near-by Loop Marketplace. Can’t wait to see you! Hello! Psst – how about a joke? We love a good knock knock or bar gag. Or just say hello back. We'd love to hear from you! Contact us below. © 2018 Loop Neighborhood. All rights reserved.